After years of near-misses in tournaments and hours of practicing on the Skee-Ball machine he keeps in his in-law’s garage, 33-year-old library administrator Roy Hinojosa of Austin, Texas is now the National Skee-Ball Champion of the U.S.
“[I] practiced until my back was JELL-O. My legs were shaking. I’m sweating. Through sheer volume and sheer will, I got better," Hinojosa tells ABC News. Over the years, Skee-Ball has gone from a nostalgic carnival game to an emerging, underground sport. It’s becoming popular in cities like Austin, New York and San Francisco, and boasts more than 1,000 league members nationwide. Just like the original arcade game, the goal of Skee-Ball is to roll a small ball into numbered cups on a slightly-inclined lane. Whoever ends ten frames with the most points wins. "It’s not easy," says Hinojosa. "It’s not something that anyone can just walk in and do." Skee-Ball champion Roy "Brewbacca" Hinojosa playing at the Full Circle Bar, Austin, Texas. Hinojosa, better known as “Brewbacca” in the Austin Brewskee-Ball League, became a fixture in the national Skee-Ball scene about eight years ago. 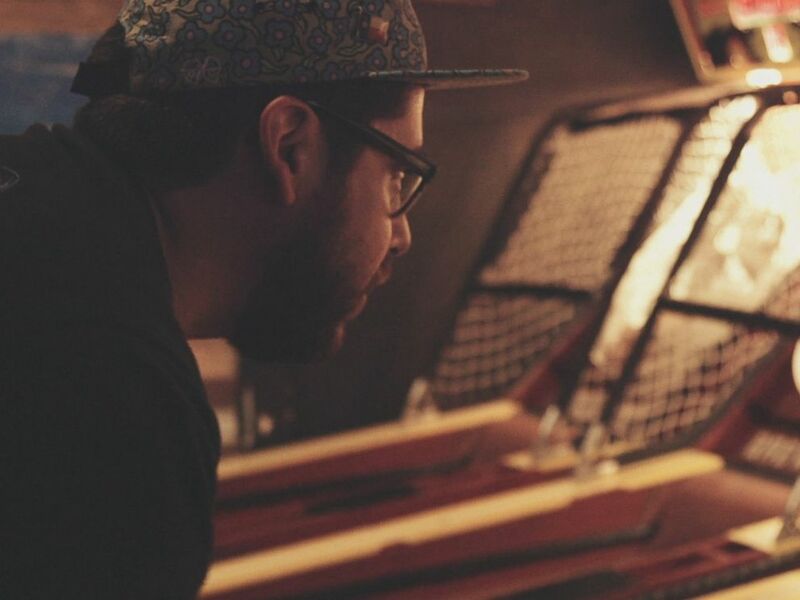 "In early 2009, I had the first sign-up part for the first skee season of Austin Brewskee-Ball and Roy and [his wife], Rachel, signed up with a friend," fellow Skee-Ball roller, Eric Cooper remembers. "I want to say halfway through the first skee season, something clicked in Roy." Because of the sport’s relative newness, Hinojosa says he learned the basics to becoming the best from watching YouTube videos. "There’s no manual in playing Skee-Ball. There’s no coach. It’s you and the lane," Hinojosa told ABC News. "The idea is to be consistent. If you’re a good forty roller or fifty roller, you’re going to be winning more times than not against a 'hundo' roller." 'Forty,' 'fifty' and 'hundo,' meaning hundred, refer to the point cups dunked during a Skee-Ball game. From there, Hinojosa started a years-long climb to the top. Every year, Skee-Ball leagues from cities across the country come together for the "Brewskee-Ball National Championship," known more casually as "The BEEB." The winner takes home a big, golden trophy and the champion’s cream-colored jacket. In 2010, Hinojosa participated in his first tournament and said he wasn’t able to get far because he couldn’t hit enough 40-point cups. The following year, after training extensively on his "forty game," he lost in the first round. Then in 2012, he lost in the final four, but it helped establish his reputation. Little did Hinojosa know one of his most memorable tournaments would actually happen the following year. "We're having The BEEB in Austin, Texas. I'm in my hometown and I'm feeling good about my chances," he told ABC News. By the 10th frame, the title is down to Hinojosa and another roller from New York City. They’re neck-and-neck. "I forget what I needed to win, but it was around a 390 or 400. I start missing some balls and I need to go for a hundo," he said. Then, he hit his stride. "I roll the ball and it hits a hundo. The crowd goes crazy and I get amped and start feeding into the crowd," he said. "I look at the score and it looks like all I needed to do was roll the remaining balls in the 40 pocket to win." "I do exactly that and the crowd goes crazy." Fellow Skee-Ball roller, Eric Panoy, shot video of the moment when the audience let out a deafening cheer. But, then, the video shows another Austin roller, Eric Cooper, walking into frame. He talks into Hinojosa’s ear. "I hear that the lane malfunctioned and scored higher than I actually rolled," Hinojosa said. "These machines are old. They’re not in the best condition. I hit it really hard. Sometimes when you do that, it double clutches and the score changes. Instead of registering as a 100, it registers at 150." Hinojosa’s teammates said the pain in the room was palpable. "It was a heart-breaker," Cooper said. "I’ll never forget that moment as long as I live." Hinojosa's wife, Rachel, also took it hard. "I threw my beer on the ground and said some words. I was a little mad," she said. But, Hinojosa didn’t quit. He went on to compete in the 2014 and 2015 BEEBs. However, he didn’t make it to the finals. It wasn’t until 2016 when his luck changed. In June, 2016 on the U.S.S. North Carolina in Wilmington, North Carolina, Hinojosa went up against Jon "Snakes on a Lane" Ciuffreda -- the same New York roller he faced in 2013 -- in the BEEB. "I lead throughout, the entire way," he said. 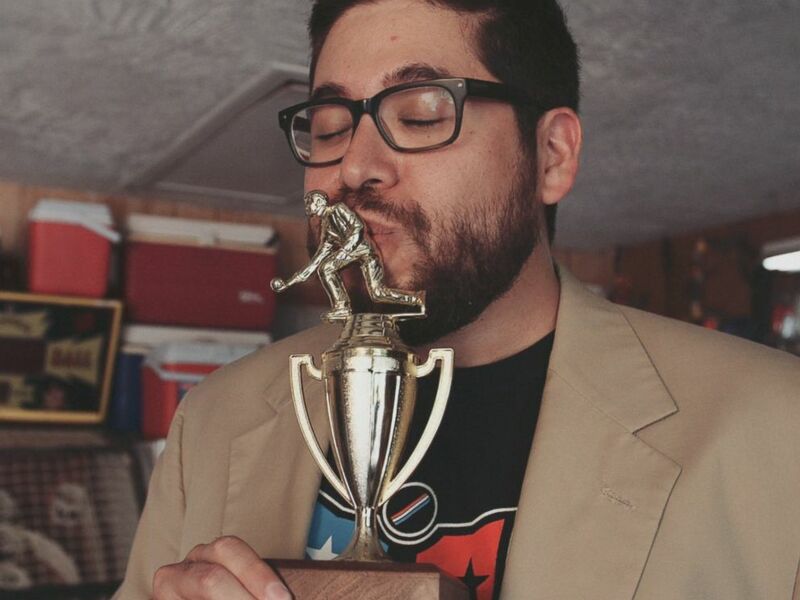 Skee-Ball champion Roy "Brewbacca" Hinojosa wearing his cream-colored jacket and kissing his trophy in Austin, Texas. Hinojosa smiled as he puts on the cream jacket in his in-laws’ garage and reflected on that day in 2016. "The idea that you’re the best at something," he says. "No one can take that away from me." "I know from the outside looking in, it's silly to a lot of people," Hinojosa laughed. His plan now is to keep playing in his local league and defending his title. There’s no money in being the champion, unless rollers sell merchandise, but Hinojosa said his passion to continue is more out of love for the game and the people who play it. "Throughout the whole process, we’ve met so many different people and made some lifelong friends," he said. "I wouldn’t know what we would have done without Skee-Ball to be honest."